Inevitably, the majority of those visiting this site looking for vintage watches for sale will be drawn to our selection of classic Rolex models. Quite simply, Rolex is unquestionably the most collected, talked about and revered vintage watch brand on earth. Tiffany & Co, founded in New York in 1837 as a supplier of stationery before it began to specialise in fine jewellery and diamonds, is one of the most important names in the history of the early wristwatch. Zenith holds a position among the top tier of Swiss watch manufacturers and its movements have always been the equal of those by any of the other venerated makers. Vintage Watches For Sale All our antique wristwatches can be shipped to any international location or collected in person. While our main business is in offering exceptional vintage wristwatches for sale, we also carry a small selection of exotic period desk clocks and antique pocket watches. Vintage watches from every decade have their own distinct character. 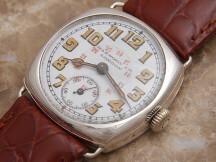 We have a carefully vetted selection of antique watches for sale by Rolex, Omega, Jaeger LeCoultre and Longines. Some of the most beautiful vintage watches ever made have been ladies’ models, from rare World War I vintage ladies’ Rolex watches through to 1960s classics by Cartier and Omega. 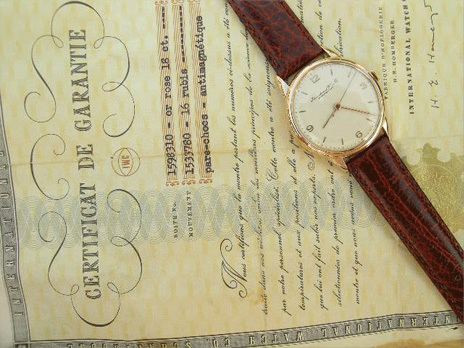 For those looking for a very personal birthday or anniversary gift, we can offer a selection of vintage watches for sale from almost every year from 1914 to the 1980s. The famous Harrods store in Knightsbridge London was an important retailer of early luxury wristwatches during the inter-war period. This beautiful silver cushion shaped model is a superb example of the models sold under the Harrods name. In superb, untouched condition throughout. 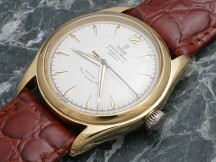 A very early self-winding Rolex Tudor Oyster Prince 34 with the sought after calibre 390 movement. These first generation Tudor automatics from the 1950s have jumped up in price dramatically and are getting thin on the ground. A nearly mint, very collectible watch. A very low serial numbered vintage Longines Flagship for sale from 1957, the first year of production. In a very large size, with an art deco dial and rare twisted bombee lugs, and featuring calibre 30L, one of the finest handwound movements of the vintage period, by any manufacturer. 1970s vintage watches by the top tier Swiss makers are currently the hot topic among collectors and prices have been rising dramatically over the last couple of years, fuelled by a great deal of media attention on this field. This is an exceptional gold vintage Omega from this period.